Easily grown from seed and will bloom the first year. 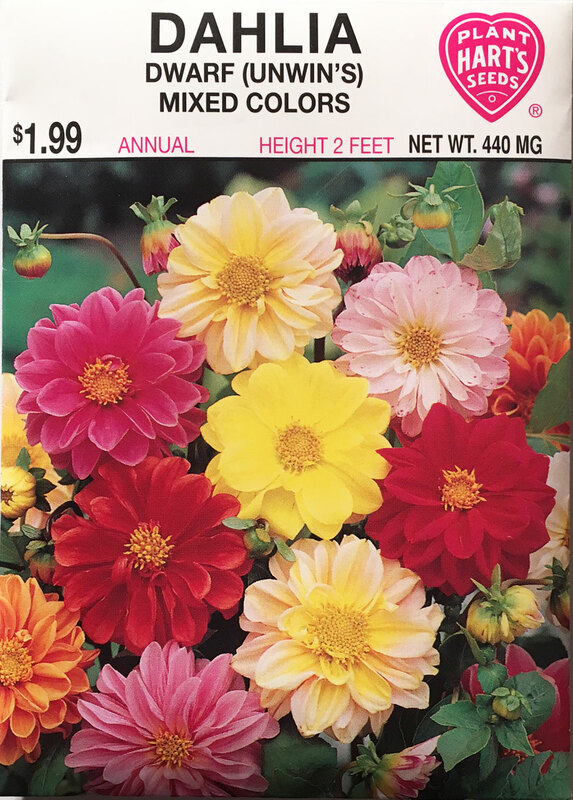 Plants bear a profusion of single and semi-double flowers in a wide assortment of colors. 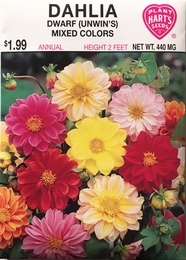 Dahlias prefer a well-drained, rich light soil, and full sunshine. Bulbs can be dug in the fall and stored in peat moss over winter to be planted in the spring. Thinning - when plants are 3 inches tall thin to 15 inches apart.